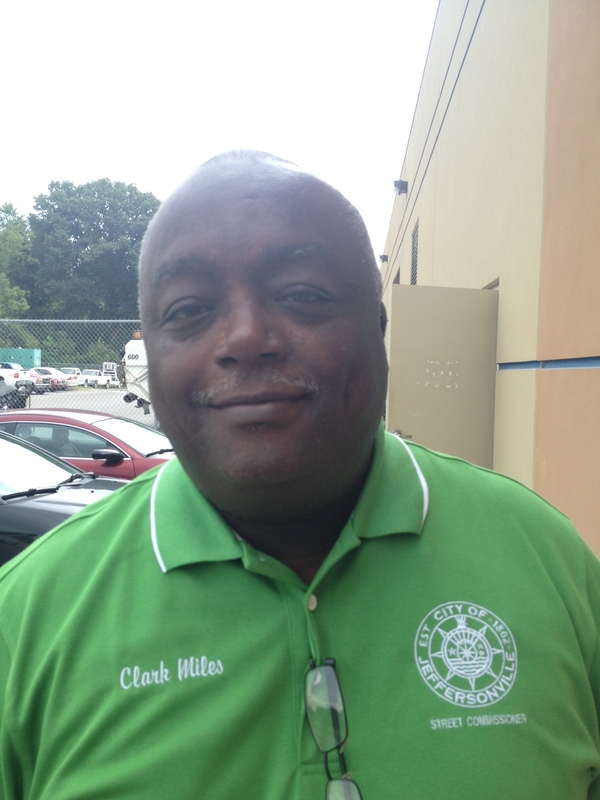 Recently Mayor Mike Moore appointed Clark Miles as the new street commissioner. Miles is a lifelong Jeffersonville resident. He retired from the Jeffersonville Fire Department earlier this year after nearly 30 years with four of those as Chief. He has spent many years in the community coaching baseball and basketball at Jeffersonville High School. We thought we’d take some time for a quick Q&A session with Mr. Miles to learn more about him and get his thoughts on his new position. Q: Tell us a little more about your background. We know you’re a lifelong Jeffersonville resident – did you graduate from Jeff High? A: I graduated from Jeffersonville High School in 1976. I played baseball and some basketball while attending Jeff High. After graduation I coached baseball for about 22 years and continue to coach basketball for my 23rd year. I am married to Portia and have 3 sons and 3 grandchildren. My mother and father still reside in Jeffersonville along with several other family members. I have 3 brothers, one who is my twin. Q: How do think your experience with the Fire Department translate to the work you’ll be doing as the Street Commissioner? Do you see any similarities between the two positions? A: The Fire Department and the Street/Sanitation Departments provide a first class service for the citizens of Jeffersonville. Although the two services a different, dealing with the employees and the public are quite similar. Q: We know you’re just settling in but what are your thoughts about the department and if Jeffersonville residents will see changes or improvements in the services the department provides. A: At this time I am trying to look at a whole lot of things. The operation is pretty good at this time but if there are some adjustments to be made to make the department better I will look at it. I just want what is best for the citizens of Jeffersonville and it’s going to take some time to look over the whole operation. A: I am a person who respects my employees. I want to treat them how I want to be treated. We are all here for the same purpose, to do a good job for the citizens of Jeffersonville. If a problem arises, I will address it and move on. I want to be as fair as possible with my employees and do not want to make a problem where there isn’t one.